Recently American Express introduced The Blue Business℠ Plus Credit Card from American Express, which in my opinion is the most lucrative credit card to be introduced in 2017. The card has no annual fee (Rates & Fees) and offers 2x Membership Rewards points on the first $50,000 spent annually. That makes the single best card for non-bonused spend. 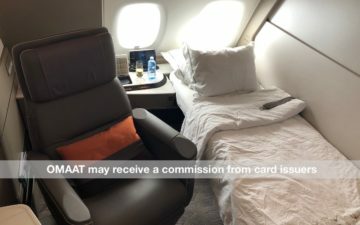 I had a lot of readers ask me how this card compared to the return offered on the Amex EveryDay® Preferred Credit Card, so I figured it would be interesting to crunch the numbers in this post. I think the first important distinction to make is that the Blue Business Plus is a business card, while the Amex EveryDay Preferred is a personal card. So the cards can’t fully be compared head-to-head, though there’s no reason we can’t look at how their return on spend compares. The Blue Business Plus Credit Card has no annual fee and offers 2x Membership Rewards points on the first $50,000 spent on the card each calendar year. Are you able to make 30 transactions per billing cycle? 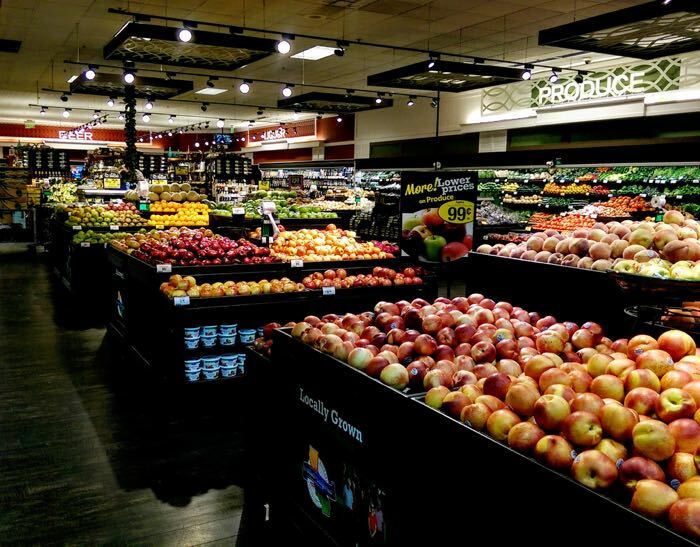 How much do you spend annually at gas stations and supermarkets? Do you or your business spend more than $50,000 per year on cards? For the purposes of this post I’ll assume that you can make 30 transactions per billing cycle, and assume that you don’t spend more than $50,000 per year on these cards. After all, those are the two metrics that maximize the value of these cards. Either of those factors being different could adjust which card offers a better rewards structure. Furthermore, I should state that I value Membership Rewards points at ~1.7 cents each. If you value them differently, plug in your values for this when crunching the numbers. However, this doesn’t factor in the $95 annual fee on the Amex EveryDay Preferred Card. You’d need to earn an additional ~5,600 Membership Rewards points on the EveryDay Preferred to break even on the annual fee, compared to the Blue Business Plus Credit Card. To give a real life example, let’s say you spend $50,000 per year, and let’s say if using the EveryDay Preferred you’d max out the supermarket category, and also spend $6,000 on gas. On the Blue Plus you’d earn 100,000 Membership Rewards points on that spend (two points per dollar on the $50,000 spent). On the EveryDay Preferred you’d earn 102,000 Membership Rewards points (27,000 points for groceries, 18,000 points for gas, and 57,000 points for everyday spend). That doesn’t factor in the annual fee of $95 on the EveryDay Preferred, which lowers your real reward to 96,400 Membership Rewards points. So for the above scenario (which is being generous towards the EveryDay Preferred), you’d still come out ahead in terms of the return offered by the Blue Business Plus. However, the math does change a bit if you spend significantly more or significantly less than $50,000 per year. At the end of the day the Blue Business Plus Credit Card is a business card, and the Amex EveryDay Preferred Card is a personal card, so they can’t fully be compared head-to-head. To me they’re both worth holding onto. Why? Because I will reach the $50,000 limit on the Blue Business Plus Card with non-bonused spend, and will continue to use the EveryDay Preferred for other purchases, including those times I make purchases at supermarkets. However, I will say that I was surprised to crunch the numbers and find that the Blue Business Plus does offer a better all around return than the EveryDay Preferred for what I’d think is a fairly typical spend profile, after factoring in the annual fee. can you use Blue Plus on gift card purchase & earn 2X? I expect many do like I do. I get the EDP card and do 30 transactions only one or two months per year. Within those 2 months I max out grocery spend at $6,000 (by supplementing groceries of course). Therefore I take the max benefit from this card and put true everyday spend on something more lucrative, like retention or spend bonus cards or the SPG card if there is no better opportunity. SO under this scenarion I receive ($6,000 * 4.5 amex point/$ * $0.017/amex point) = $459 in value per year at a cost of about 0.84% (assuming about 70% of the grocery spend is on gift cards at a 1.2% rate – $6/card) or about $50. Throw in about $4 for the money orders and total cost about $55. Then subract the $95 yearly fee. Under this scenario you would net about $300 profit for using the card for about $6,000 spend during 2 months. I also make sure to put all my gas on the card those 2 months to max out the gas bonus to add a few more dollars to the above. Someone can take this further and look at opportunity costs for lucrative categories such as groceries or gas that some cards offer, but I find this to be the best use (misuse?) of this card. Whether or not $300 profit is worth the hassle a couple months per year is a personal call. I don’t work so time is not at a premium when I am not travelling so $150 per month for an hour work max is worth it. I find I get more lucrative Amex offers on EDP than the blue for business (BBP’s predecessor). @fathiss TY. You just sparked my creativity.